The party is over. 1965 Main Street is vacant. 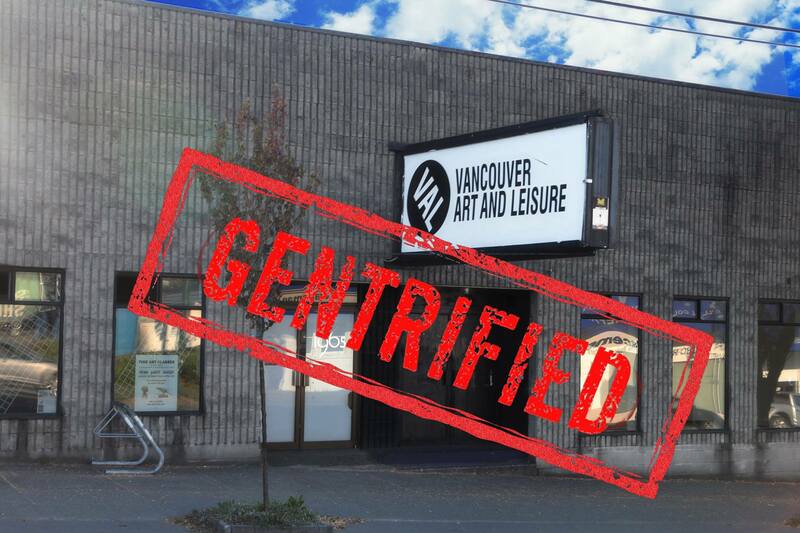 Vancouver Art and Leisure (VAL) closed their doors on June 6, 2017. Adam Schmidt and Chanel Klein spoke to Matt Troy and visited VAL’s final shows to get a scoop on the gentrification wave wiping out Vancouver’s independent arts and culture spaces. Wash, rinse and repeat until gentrified. It’s business as usual in the Canadian Riviera as rents continue to soar, pricing arts and culture out of the neighborhood. Vancouverites bid farewell to another independent arts and live music venue known as Vancouver Art and Leisure (VAL). VAL hosted art galleries, mutli-room techno parties and film presentations among other unconventional events at their former warehouse site on 1965 Main Street. VAL was given notice to vacate by the end of May after failing to renegotiate a long term lease with their landlord. When the independent artist-run society moved into Mount Pleasant in 2015, VAL drew the queer nightlife scene away from the West End to East Vancouver. 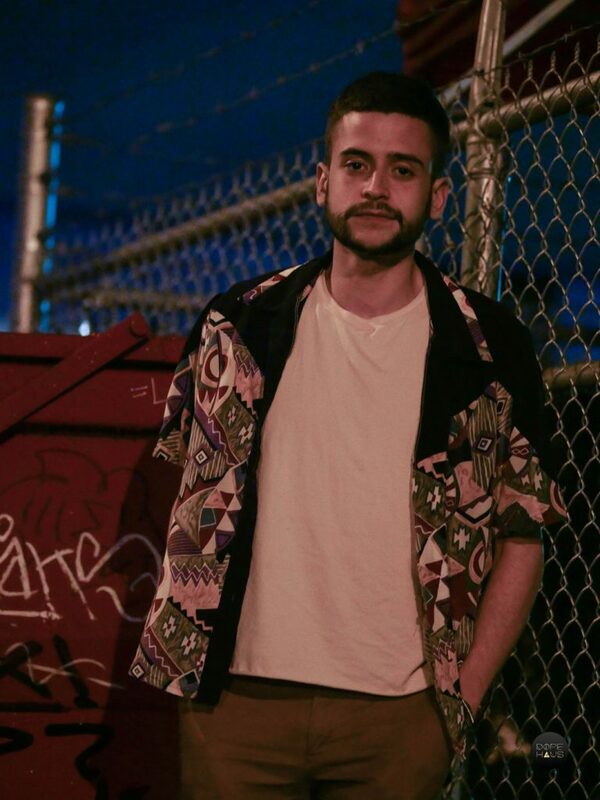 From their first multi-room warehouse parties to the front page of The Province, VAL made waves in Vancouver’s alternative nightlife. The final parties at VAL hosted patrons new and old. The space was packed to the brim for their multiple going-away parties. After the final event in May, supporters took to Facebook to share their favorite memories. Hosting events in alternative spaces away from the Granville strip involves a fair share of red tape. In Matt Troy’s opinion, the City of Vancouver has yet to provide permanent zoning guidelines for arts and culture spaces. “Vancouver needs cultural safe zones and more access to presentation spaces,” says Troy. 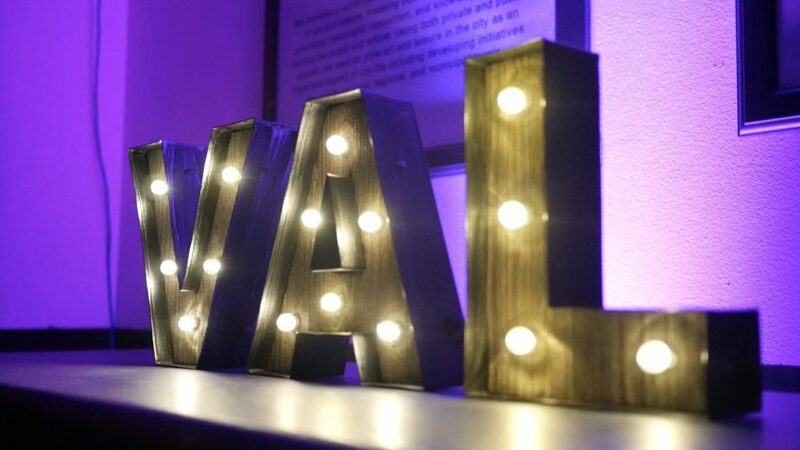 Despite vehement opposition from former nightclub owner Bijan Ahmadian, City Hall approved a new arts events license in 2015 to help independent promoters host up to three events per month. During the pilot phase of the program, VAL played an instrumental role in proving Vancouver’s demand for alternative queer-friendly venues away from the usual nightclub scene. IC-2 industrial zoning permits “Arts and Culture Indoor Events” at 1965 Main St, which allowed VAL to host events close to the city’s core. Given the sales history of the building, it is clear that developers had different plans for the industrial part of Mount Pleasant. According to Avison-Young, developers such as Chard, Cressey and PortLiving are expected to construct more mixed use developments around the Mount Pleasant area in the near future. With the pending demolition of the Georgia viaduct and the City of Vancouver’s False Creek Flats plan, there is no telling how far residential development and land speculation will push sustainable underground arts and culture away from Vancouver’s core. Skyrocketing land valuations greatly inflated property taxes in a short space of time. Mounting property taxes puts pressure on landlords to renegotiate pricier leases or scout for different tenants to support the additional expense. 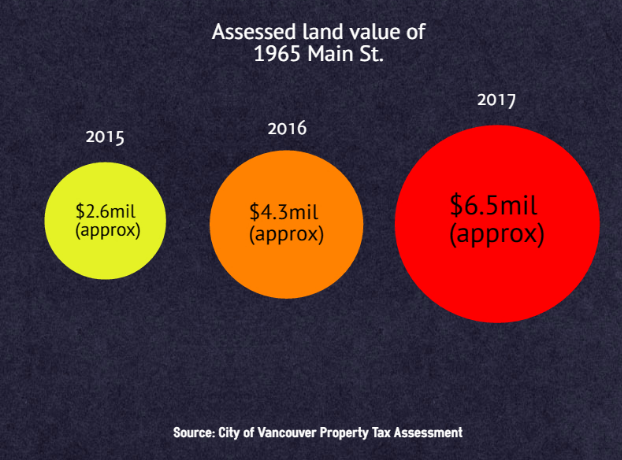 According to 2017’s Property Tax Assessment, the assessed land value of 1965 Main St. nearly tripled from the time VAL occupied the space until the organization was given notice to vacate two years later. Condo-ization of Vancouver’s industrial neighborhoods is another factor contributing to the gentrification of artist spaces. Below is historical satellite data illustrating the development of Mount Pleasant area. Drag the white bar from left to right to see the change from December 2000 til December 2016. Note the encroaching residential developments and high rise condos around the industrial areas west of Main Street. VAL isn’t the only live music and arts venue to feel the squeeze. Venues such as the Beaumont, Dover Arms and the Comox Pub are among many spaces that have fallen victim to Vancouver’s affordability crisis. 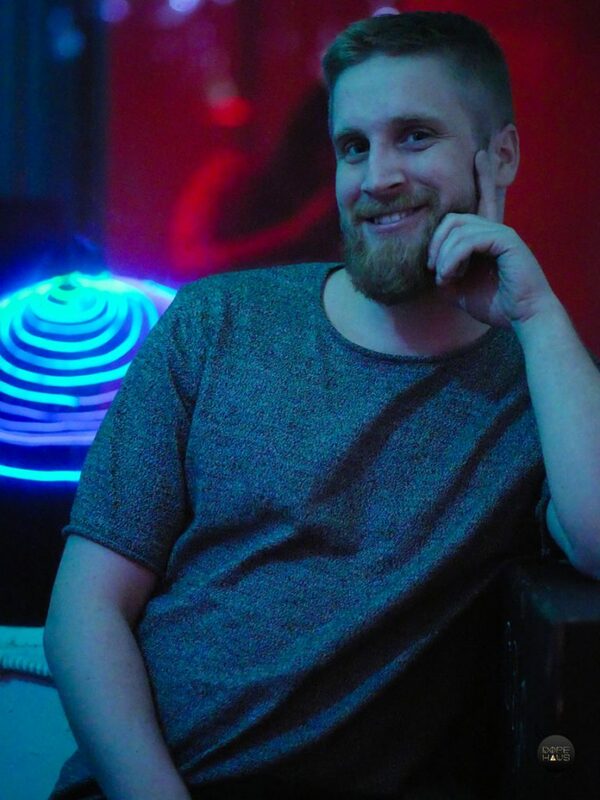 As for Vancouver Art and Leisure, Matt Troy is planning to host pop-up events around the city for VAL’s Alternative Pride Festival this summer.